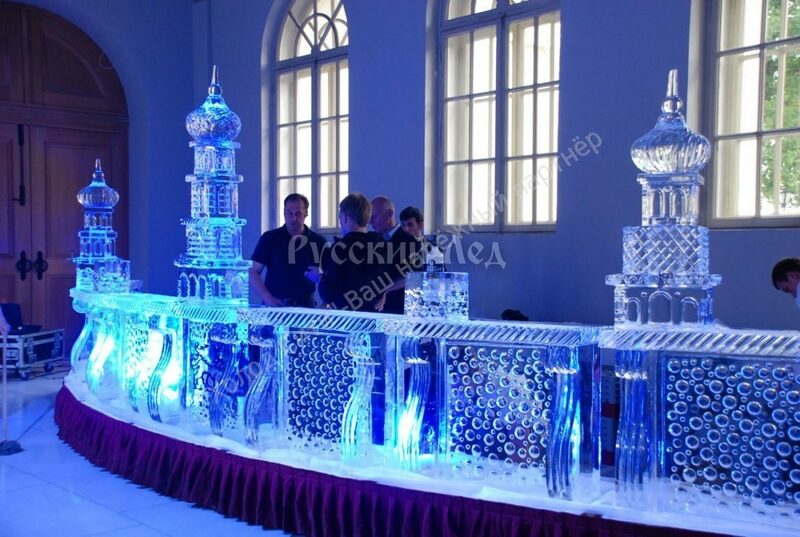 OOO "Cold City" produces Ice Sculpture Machine "Crystal", for freezing transparent block ice. 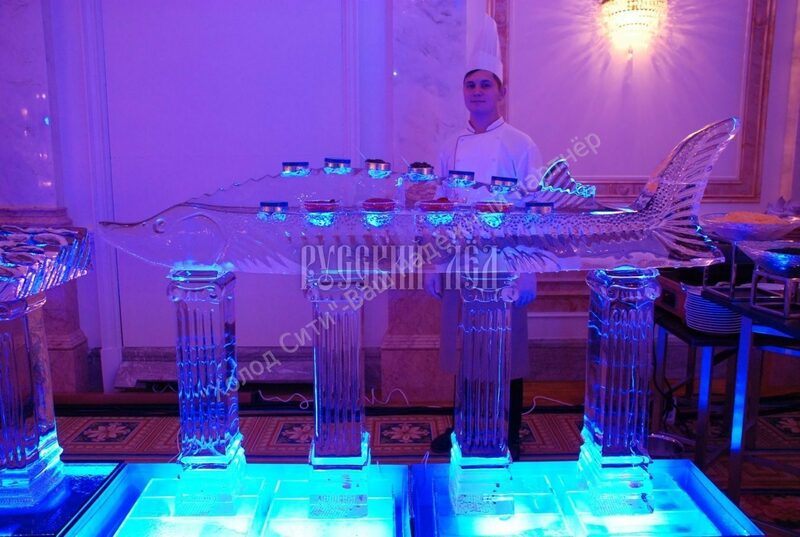 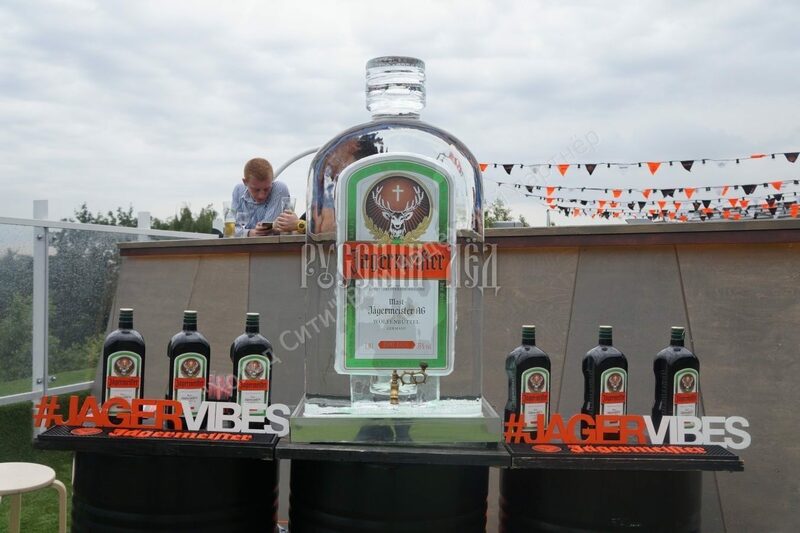 From these blocks professional sculptors make stunning ice sculptures for festive events, corporate parties, anniversaries, birthdays. 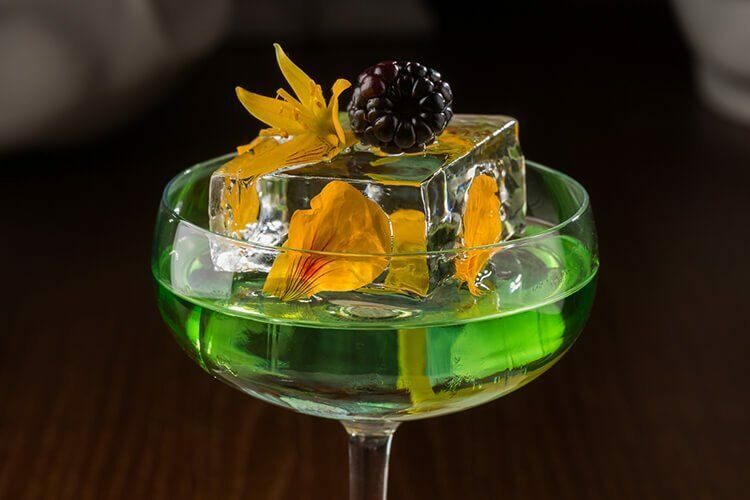 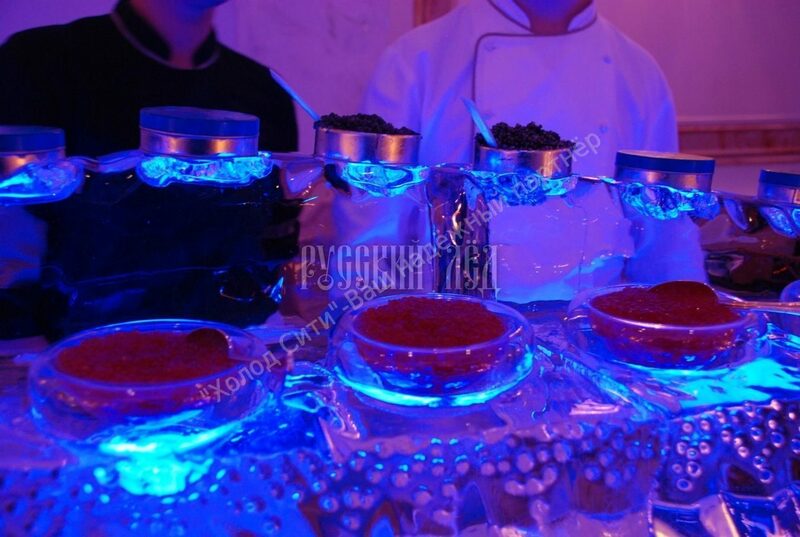 Transparent food ice is also widely used in combination with alcoholic and non-alcoholic cocktails in bars and restaurants. 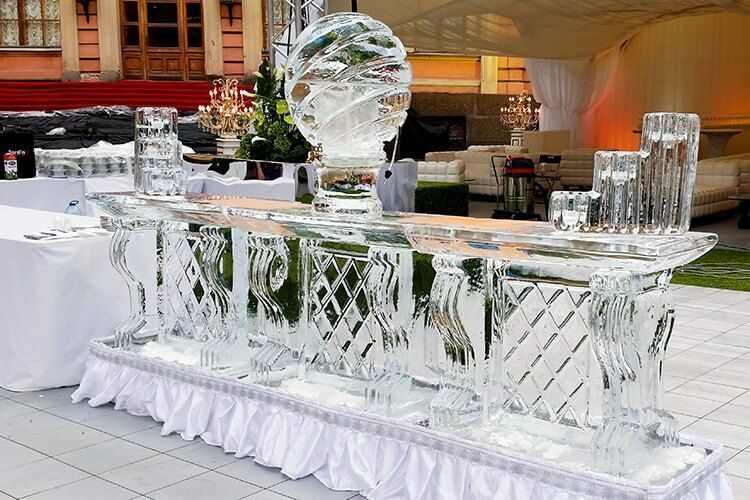 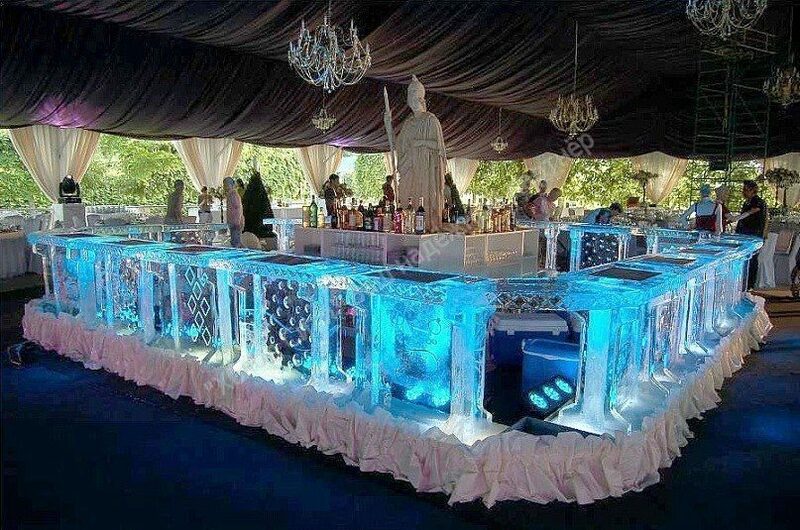 With the help of a single-block ice machine, you can get transparent ice to make ice sculptures. 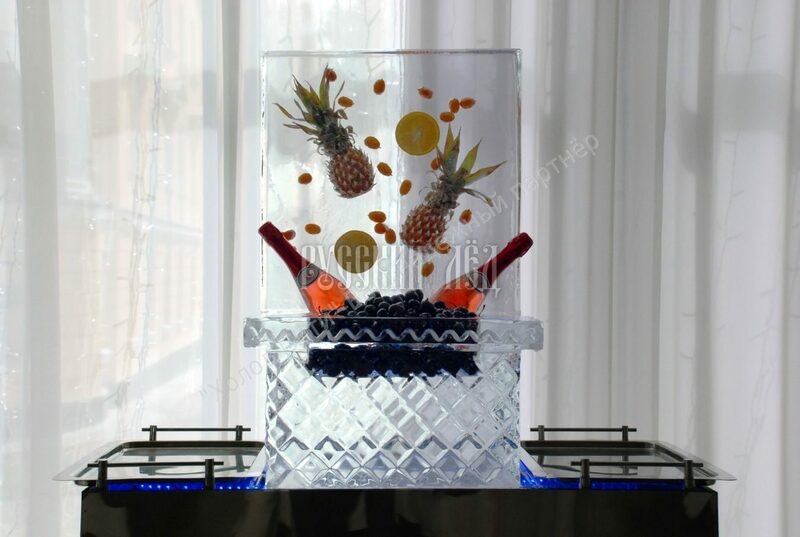 Equipment of this type is used in bars, it is more convenient to handle transparent ice blocks of smaller size for further use in alcoholic and non-alcoholic cocktails. 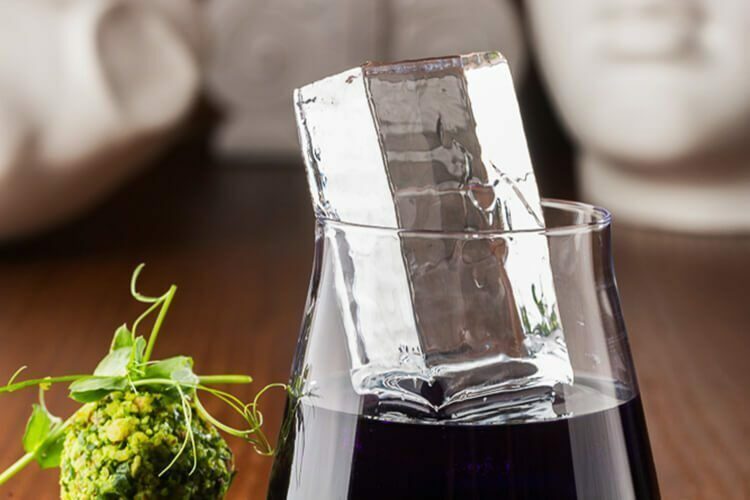 Large long cubes of clear ice in glasses with drinks make a very good impression on the buyer. 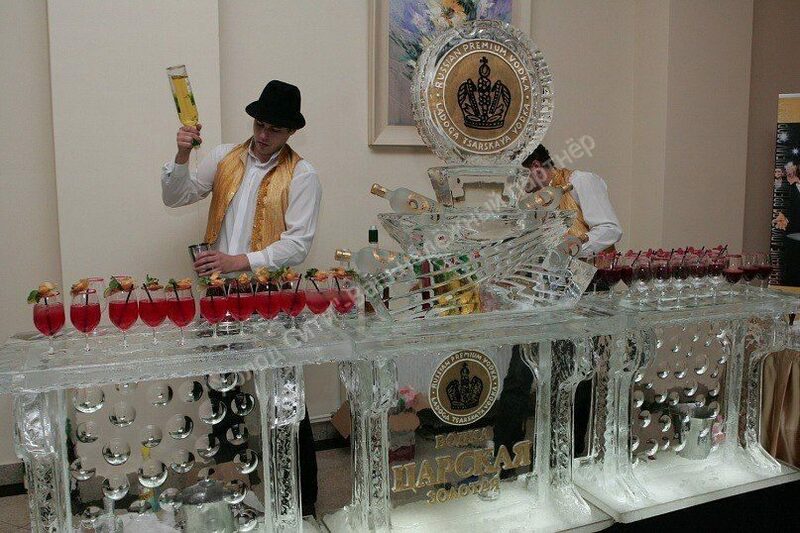 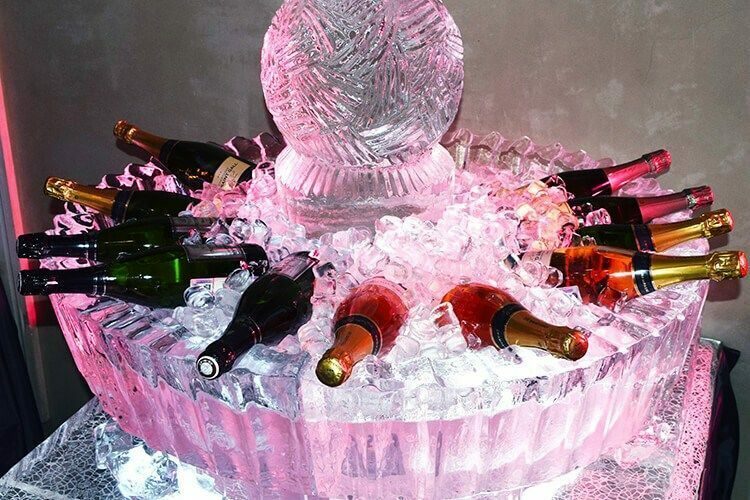 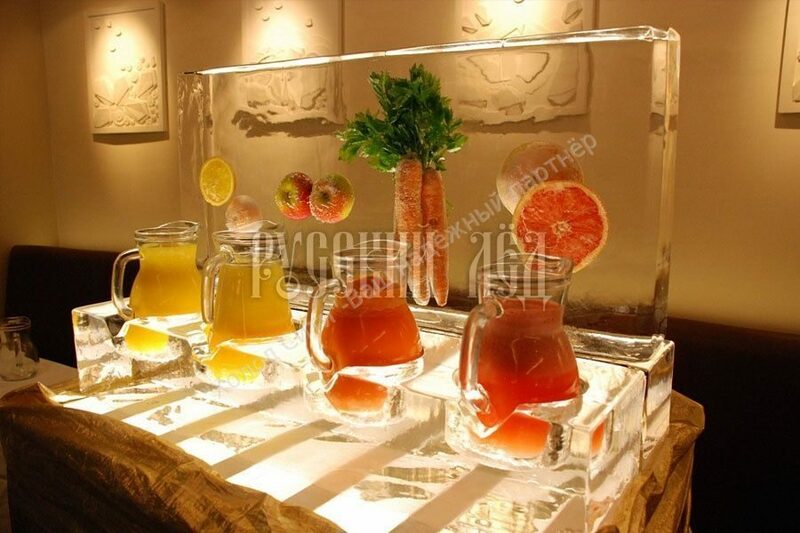 Price two-block ice machine "Crystal" 4380 USD. 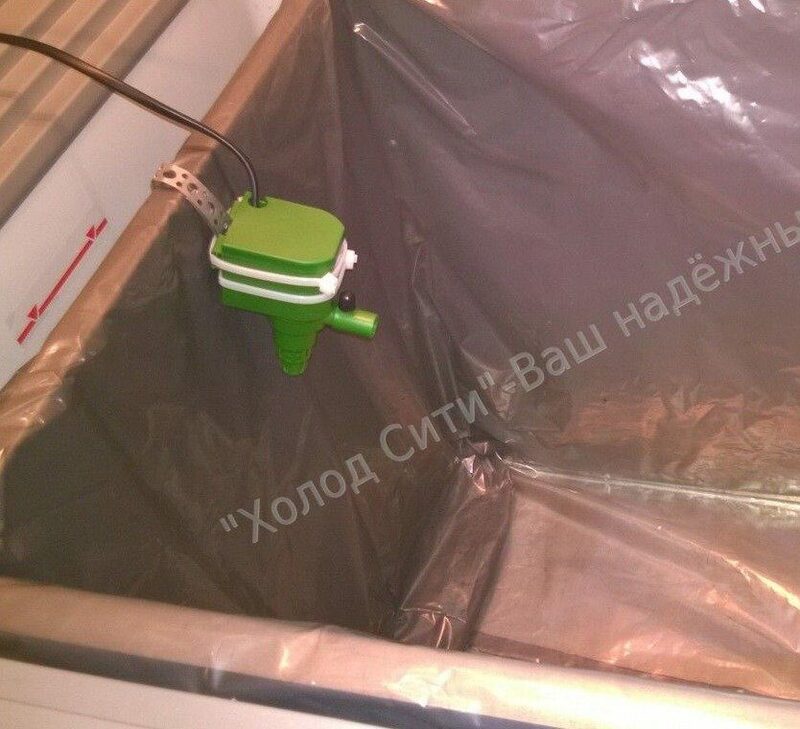 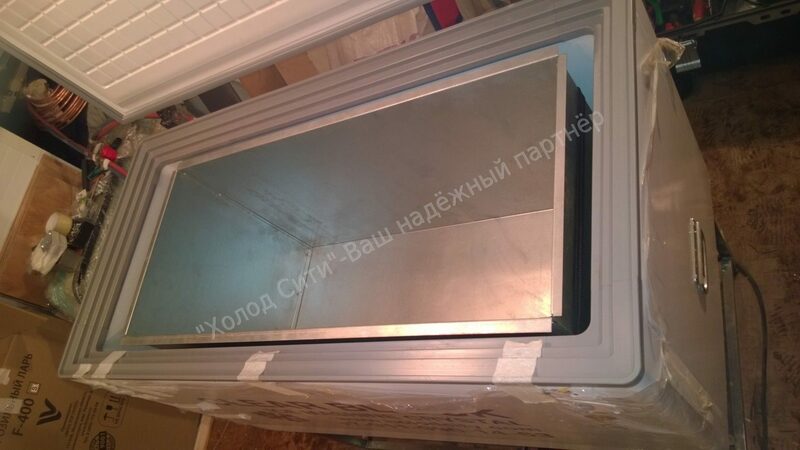 The top of the "ice machine" is made of a whole sheet of stainless steel AISI 304. 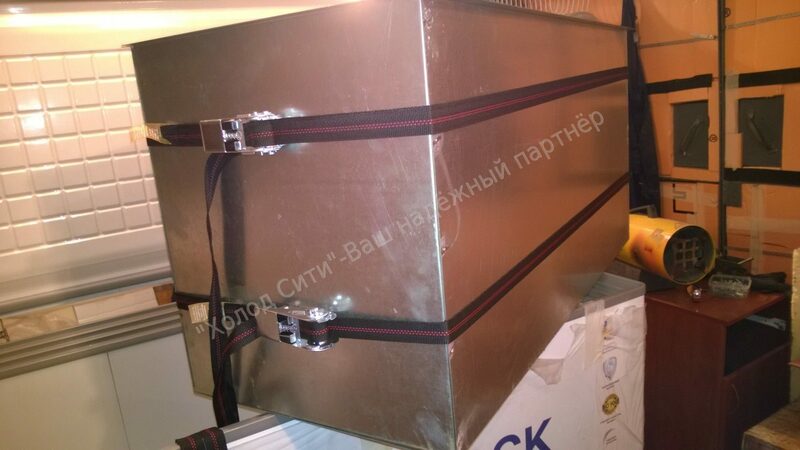 The walls of the refrigerator enclosure are made of a sandwich panel filled with foam polystyrene foam. 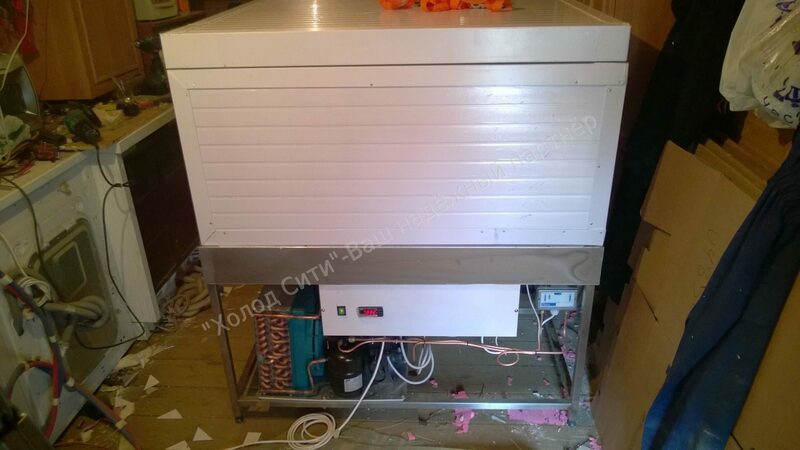 All components of the refrigeration part and the port, the compressor-condenser unit "Embraco". 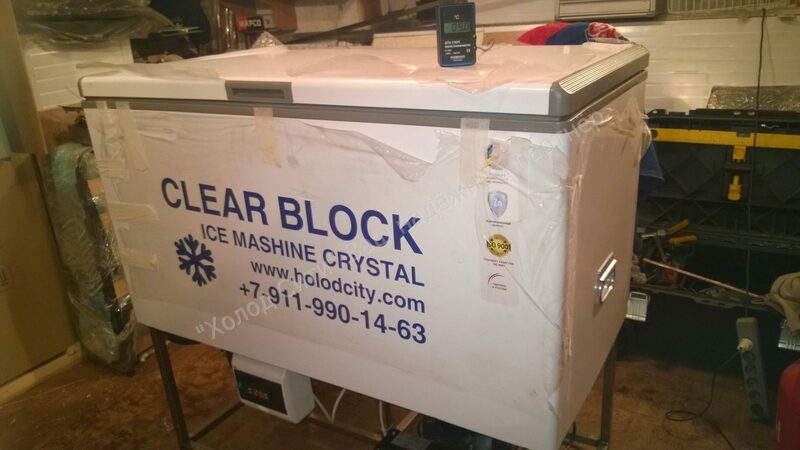 The technical part of the ice machine is similar to imported samples. 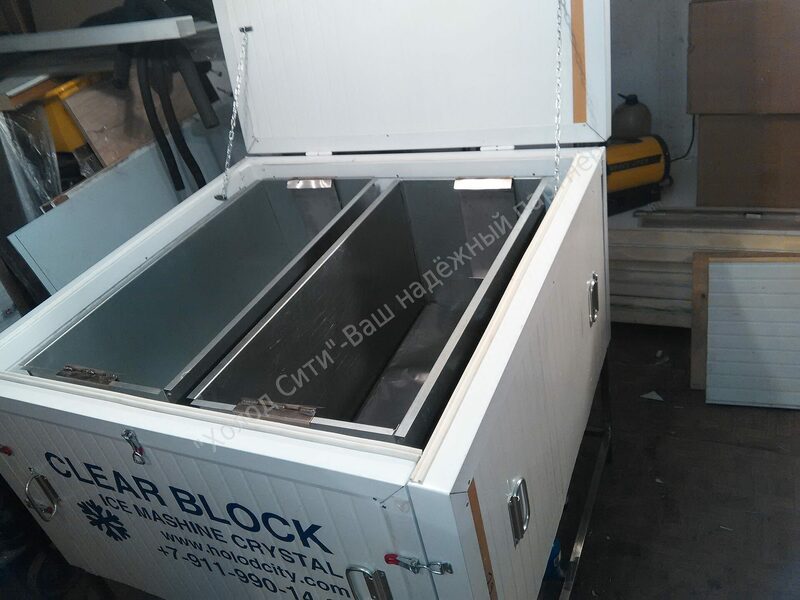 It is made to order, 20 working days + 3 days for running in order to obtain an ice block. 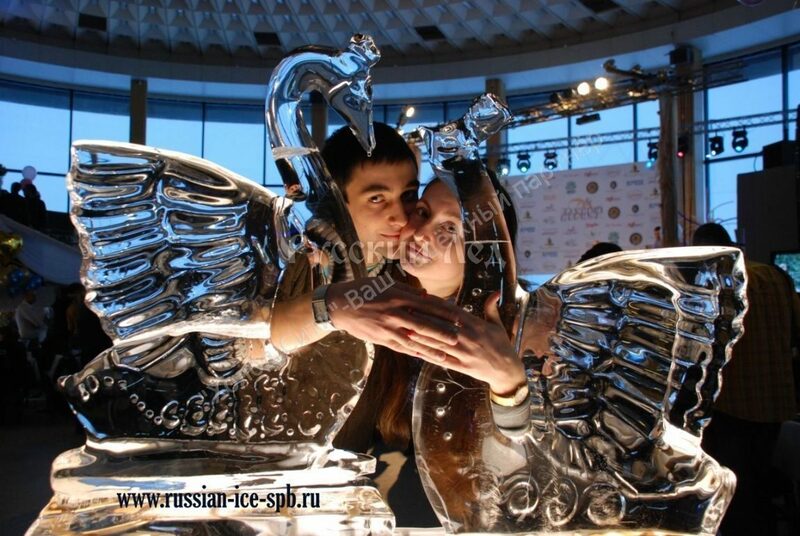 Holidays are not considered. 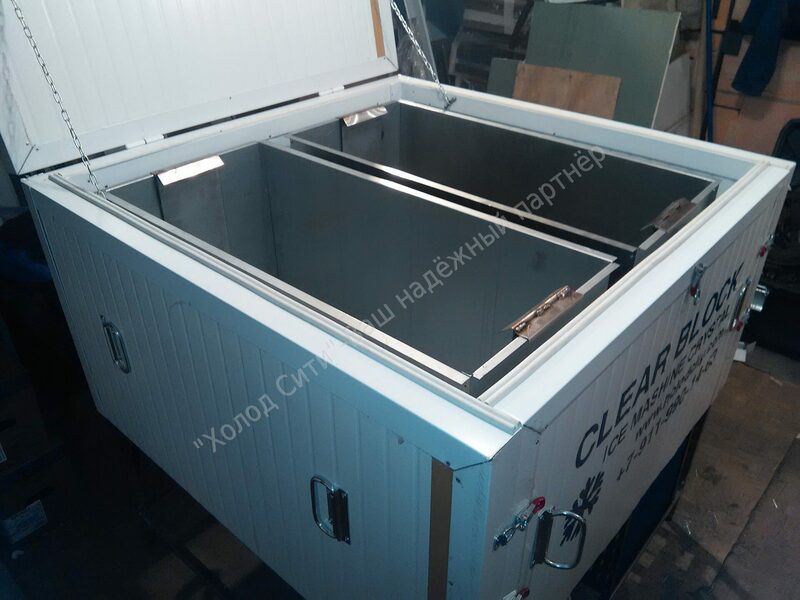 Warranty for equipment and work completed is 1 year .. 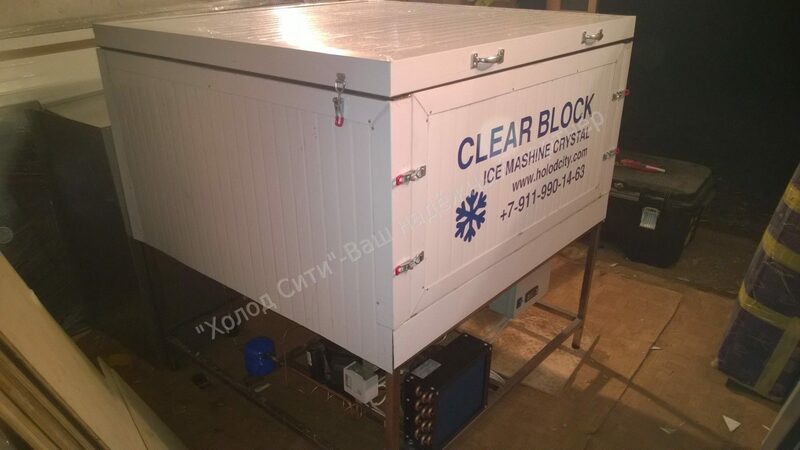 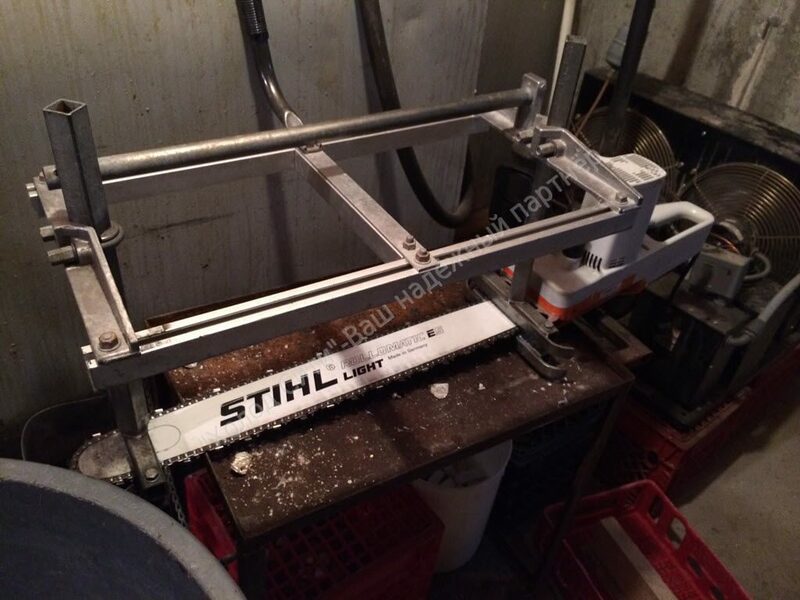 The cost of electricity for one cycle of work ice maker is about 500 rubles. 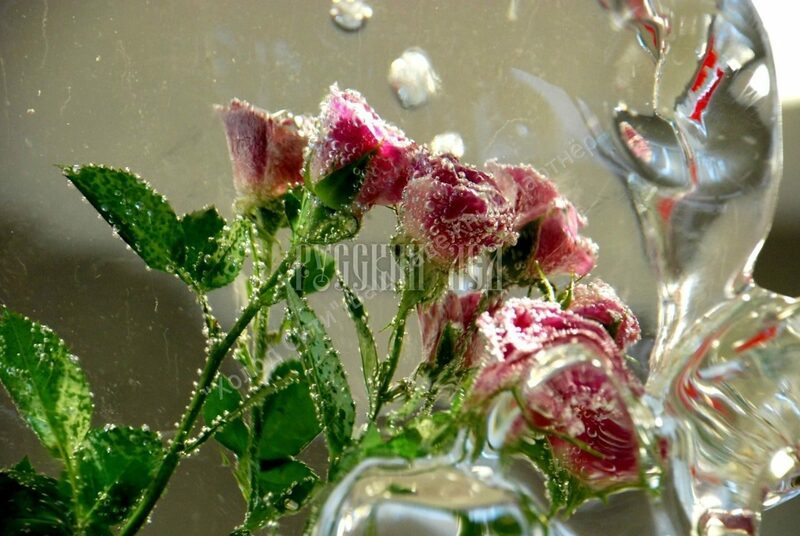 + Water. 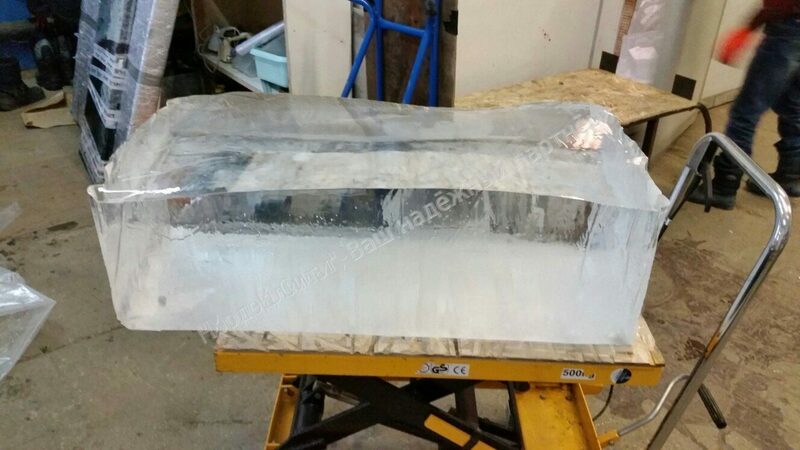 In addition, we recommend purchasing a pulsed hand sealer for packages in which water is poured for freezing. 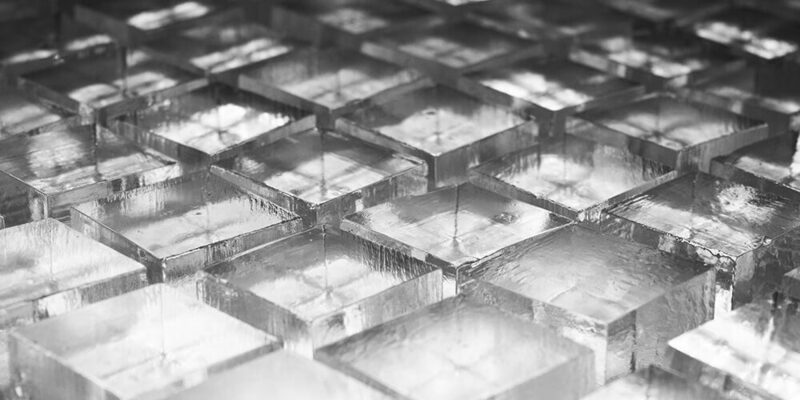 So make transparent ice already on an industrial scale. 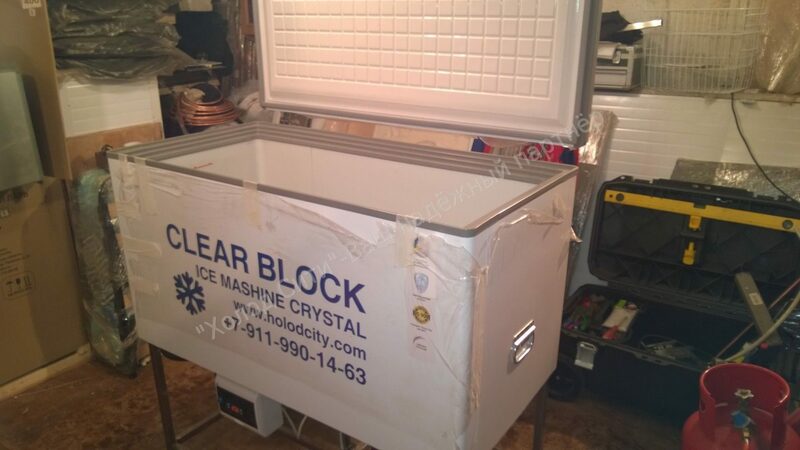 The tool that your colleagues use in America for working with ice -click on this link. 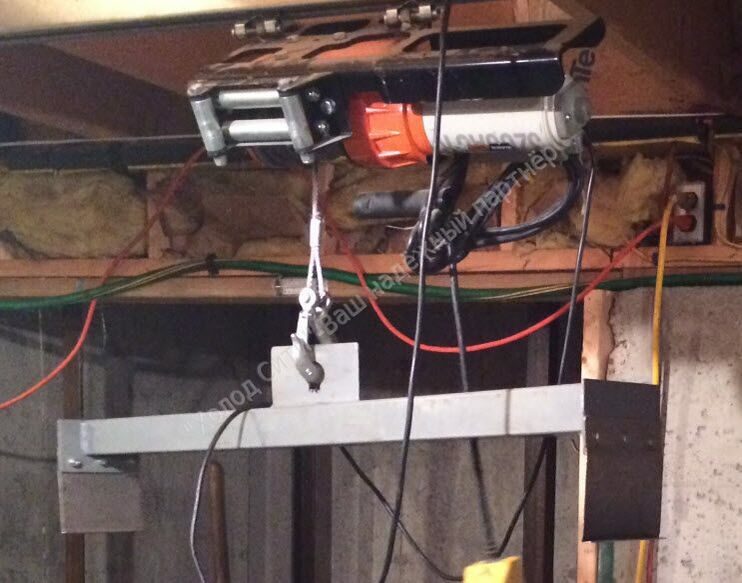 On the same site in the section Downloadable Catalog-prices for tools and equipment in America. 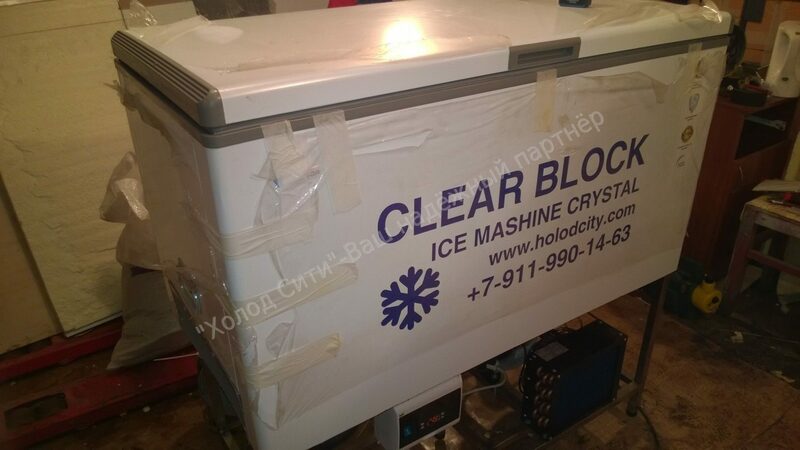 On acquisition, please call. 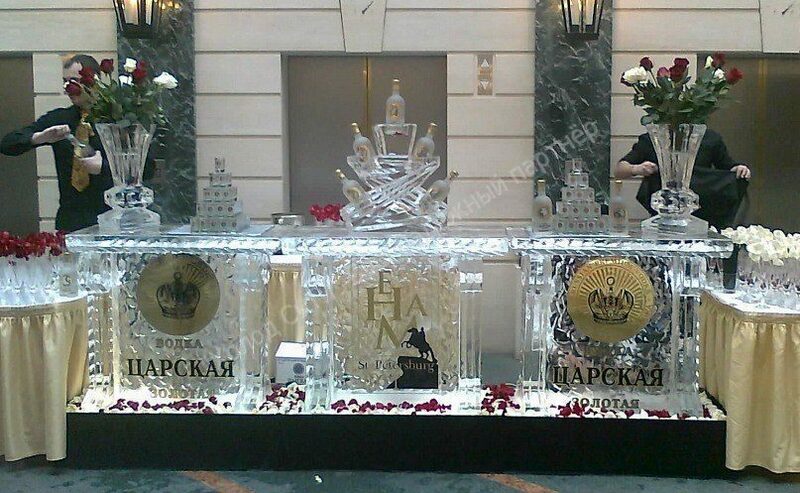 In St. Petersburg + 7-911-990-14-63 or write to the email holodcity@gmail.com for Alexander. 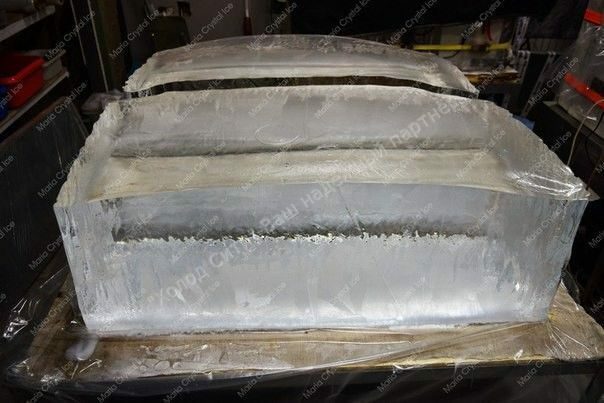 We carry out delivery to the regions by any transport company.